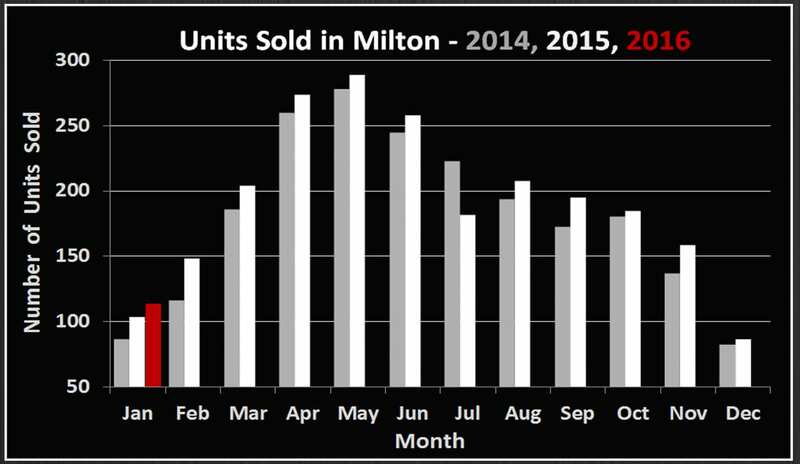 The Milton real estate market is off to the hottest start we’ve seen to date. A severe lack of inventory and a large supply of buyers have pushed prices to record levels, an unusual thing to see in the middle of winter. The 114 residential sales in January 2016 represent a 9.6% increase over the same figure for January 2015. 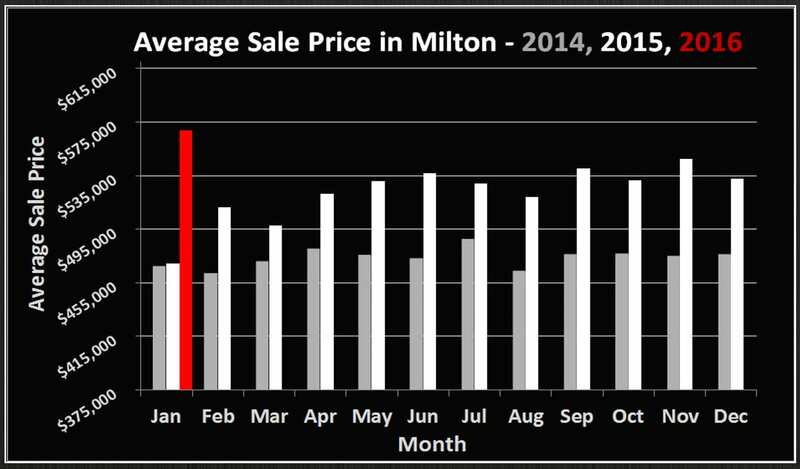 The average price recorded in January 2015 has increased a staggering $100,000 to $569,000, the highest level ever seen in Milton. Once again sellers appear to be waiting until the Spring market to put their homes up for sale. With record low interest rates continuing, and a relatively mild winter with both snow and temperatures (so far! ), buyers have not slowed down. In fact, the average sale price in January was a never before seen 101% of list price, with 50% of homes selling over their asking price. Personally speaking, we’ve been in 3 situations in the last month alone competing for homes with over 10 offers. By Spring things will likely reach equilibrium, so now may be a good time to consider listing if you’ve been thinking of holding off for warmer times. Selling your home in this market with a longer closing and then buying once inventory have stabilized is a great strategy to consider.